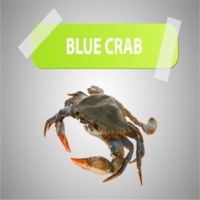 Browse frozen-crabs suppliers by country and region. Dried fish, anchovy and sardines, frozen fish: sardines, indian mackerel, hilsa (shad), ribbon fish, kingfish. Short on time? Let frozen-crabs sellers contact you. Live and frozen king crabs, fresh and frozen atlantic salmon, fresh and frozen trout, fresh and frozen whitefish, cod, saithe, halibut, pelagic, a variety of smoked fish fillets, crabs like king crab, brown crab etc. Shrimps, prawns, and shellfish. Blue shell mussels, mussels, stockfish, clipfish, bacalao fish, exclusive glacier drinking water, springwater. Wild shrimps, frozen fishes, cephalopods and frozen crabs and razor clam.. Frozen whole scampi, frozen scallops, frozen crab. Blue crabs, like, frozen crabs, crabmeat, cut crabs. Live and frozen lobester, live and frozen topshell, live and frozen razor shell and live mud crabs. Frozen tuna, pasteurized crabmeat, frozen crabmeat, canned seafood.